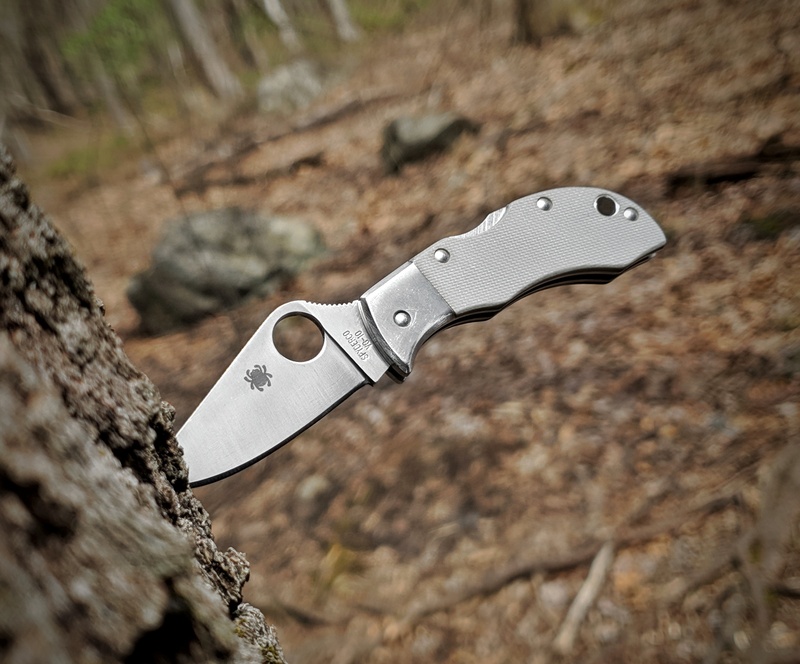 Spyderco R. Always regretted not buying buying one. South Fork. I love the Sprig and I'm still mad at myself for not picking up a South Fork when it was disco'd. I'm pretty sure Sal mentioned that the Chaparral LW and Sage5 LW were an opportunity for exclusives and sprints in different steels. K390 would be my vote. Is that where that little case on my workbench came from? Yes, as much as I like the CF, the Ti just feels right to me. Conversely, I feel the opposite about the Ti Chaparral and like the CF more. One of the most practical knives out there IMHO. 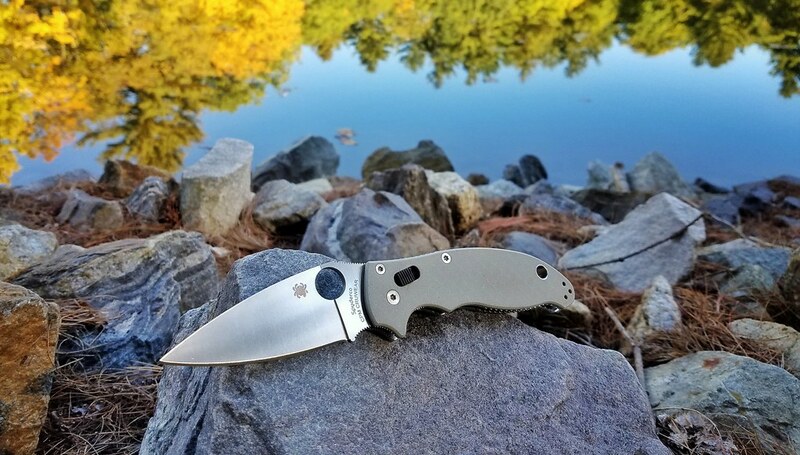 I haven't carried my CF scaled version since getting the Ti scales though. Thanks guys! 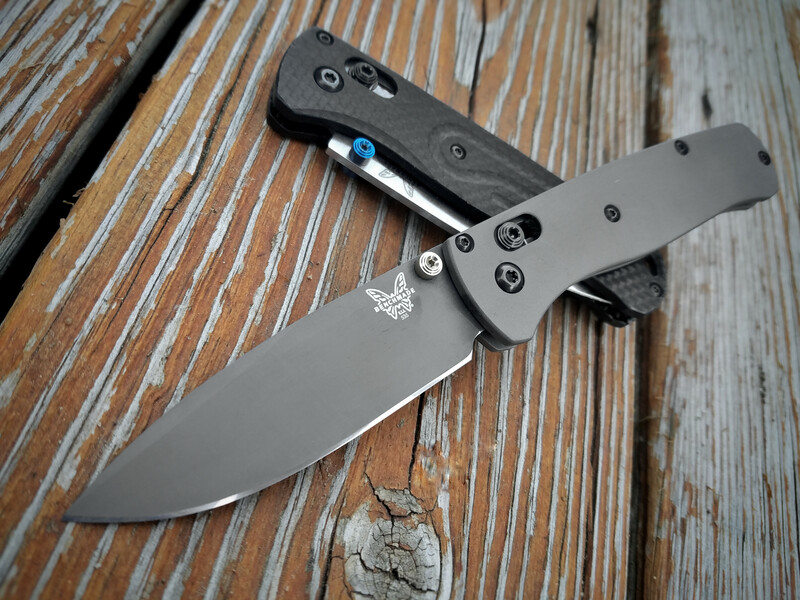 I'm assuming we are talking about the beautiful Manbug G10? The marbled CF and stonewashed DLC really play nice together, and are both impossible to photograph how the light plays off of them. Maybe I'll try a GIF. 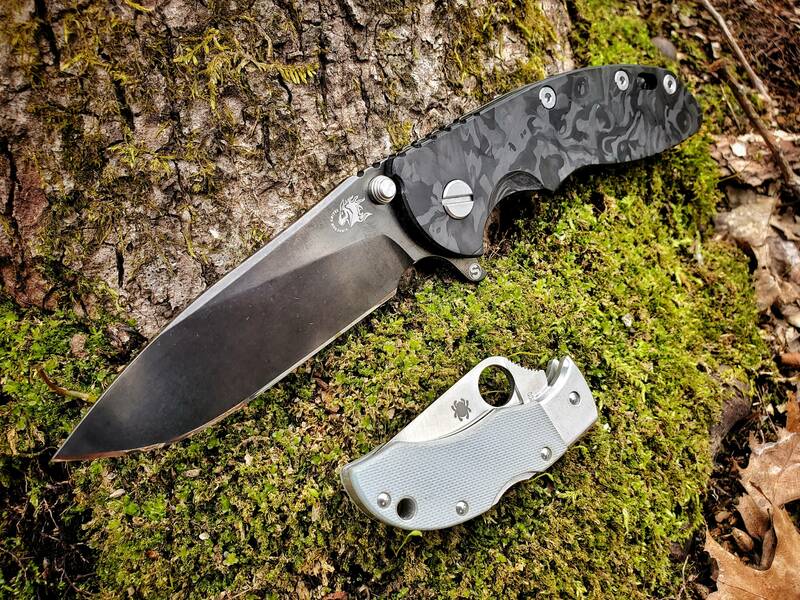 Topic: What is your favorite Spyderco in CPM Cruwear? 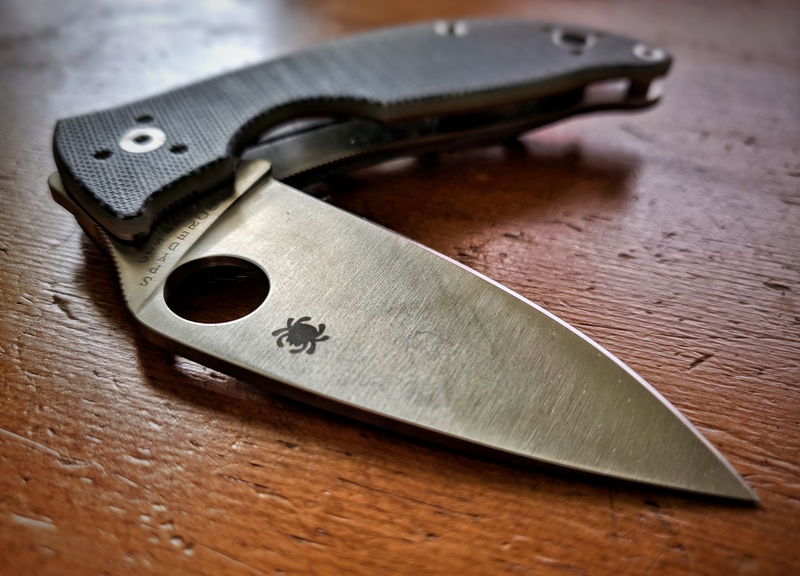 Re: What is your favorite Spyderco in CPM Cruwear? Thanks for the insight. Seems like a limited run of Vanax would be pretty tempting for Sal, no? 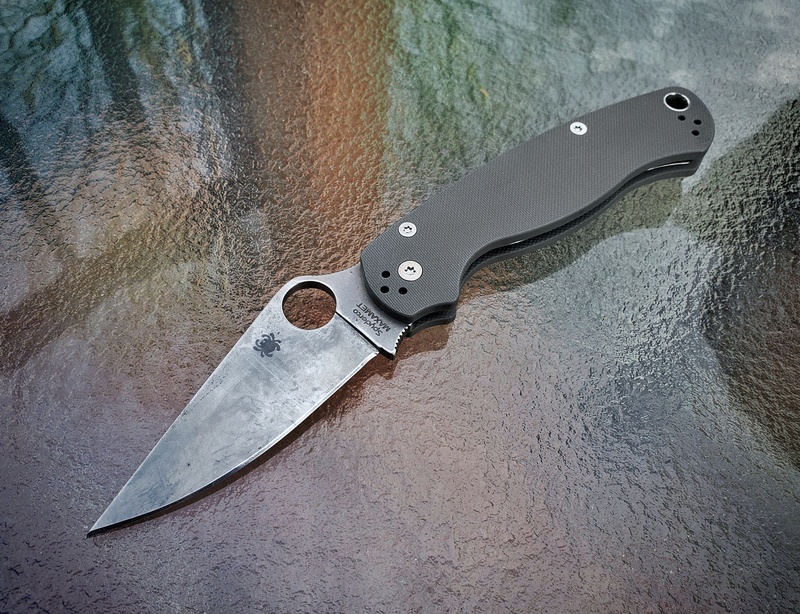 The blade swap would probably work, but the issue would be the back spacer... the FRN version does not have one. Also, the clip is different.